Must Escape the Bakery Walkthrough. 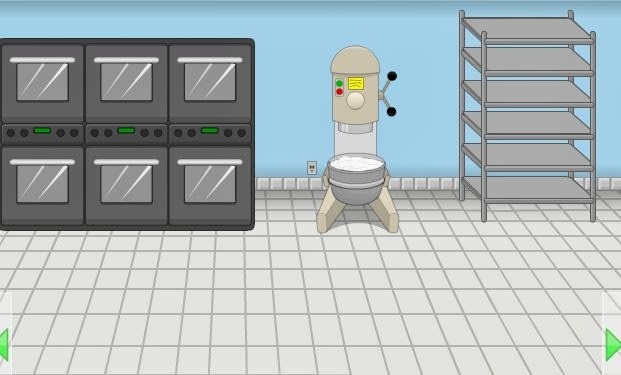 Must Escape the Bakery Solution. Full step by step walkthrough solution that will help you escape from the bakery... alive! This is a point-and-click room escape game. 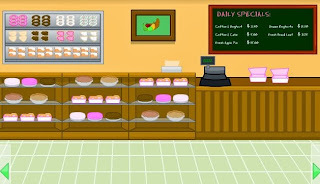 You went to the bakery to get some fresh muffins. You walked inside and no one was around. When you tried to leave you noticed the door is locked! 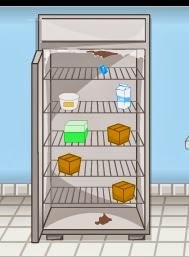 Now... you must escape the bakery. This guide will give you detailed explanations and full instructions with screen-prints on how to escape. All the tips, tricks and help you need! 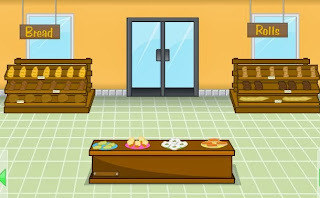 Play must escape the bakery here. 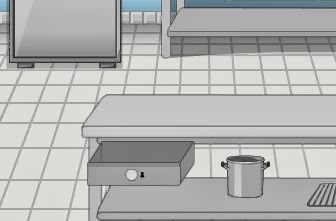 Go right to the cake room. Go right to the employees only door. 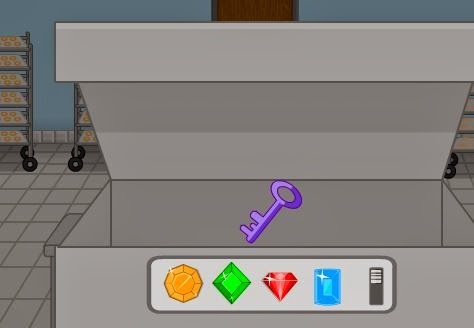 Use the silver key to open the door. Enter. 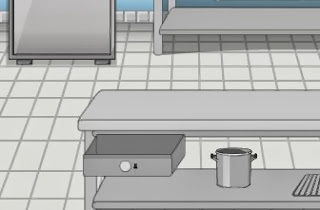 Take the mop from the mop trolley. Read the note on the black board - "no accidents in 729 days"
The drain is blocked. Use the wrench to unblock the pipe under the sink. 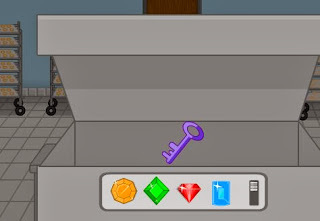 Take the golden key from the sink. Take the empty coffee mug. Take the mixer hook from the bottom rack of the table. 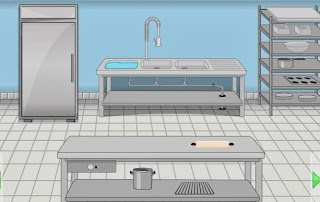 Go right to the oven room. Go left and get back in the store via the door. Go right to the coffee tables room. 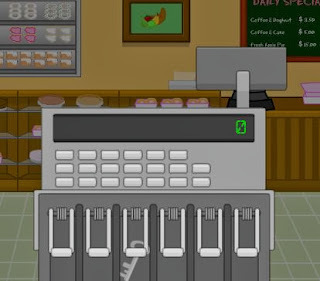 Use the coffee mug to get some hot coffee from the coffee machine. 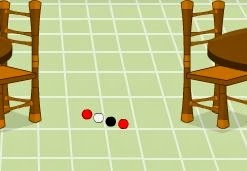 Use the mop to clean up the spilled coffee on the floor between the 2 tables. 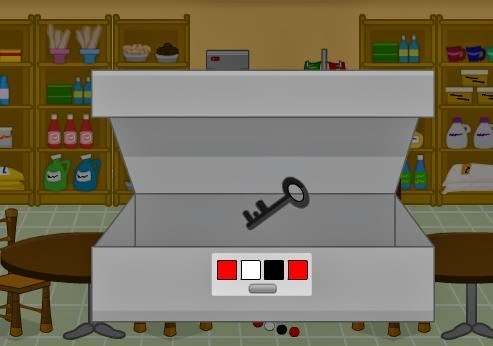 Unlock the cupboard under the coffee machine using the golden key. Zoom in on the grey box and open using the colors you saw in the circles on he floor: red, white, black, red. Take the black key inside. Go right and enter the employees only door. 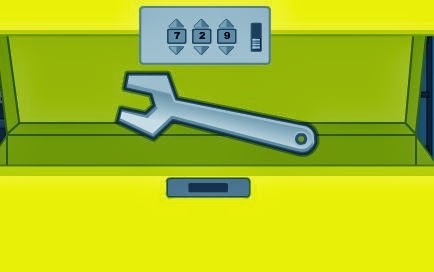 Open the drawer using the black key. Zoom in on the drawer and take the screwdriver. Go right, then exit at the door. 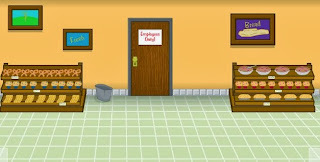 Go right 3 rooms until you are at the bread and rolls room where you started. Go through the employees only door. Zoom in on the grey box at the lower rack on the table. Insert the 4 colored gems and open. Exit back to the shop floor. Well done! 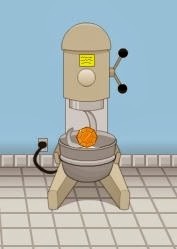 You managed to escape the bakery... alive! Hope my walkthrough brought some joy and jubilation.